On Thursday, a homeowner returned to a home in the 1200 block of Katherine Court and discovered a burglar in their bedroom. Officers reviewed surveillance footage of the incident and spotted Jose Armando Montes Guillen fleeing the bedroom through an open window with a black backpack. Guillen, who lives in the neighborhood, was tracked down after police received a tip from a witness who reported seeing the suspect in the 1600 block of Christina Court. Officers arrived in the area and located Guillen, who was trying to hide behind a parked car. Officers arrested Guillen and booked him into the San Luis Obispo County Jail. Guillen is not currently in custody, according to the county sheriff’s department website. An investigation into last week’s burglary is ongoing. Police previously said Guillen is believed to be responsible for additional burglaries. 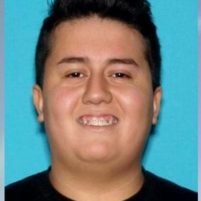 Police are asking anyone with information about the case to call the Paso Robles Police Department at (805) 237-6464 or anonymously call Crime Stoppers at (805) 549-STOP.